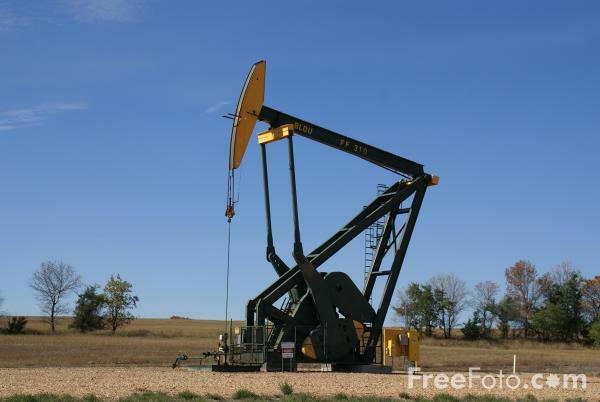 Picture of a pump jack, nodding donkey, pumping unit or horsehead pump. The pump is used in onshore applications for relatively low-production oil wells. VIEW: More images from the category Nodding Donkey Oil Well, North Dakota, USA, or around the same time .